This just in—A fresh batch of yard signs AND we’re about to hit the 1,000 supporters mark! 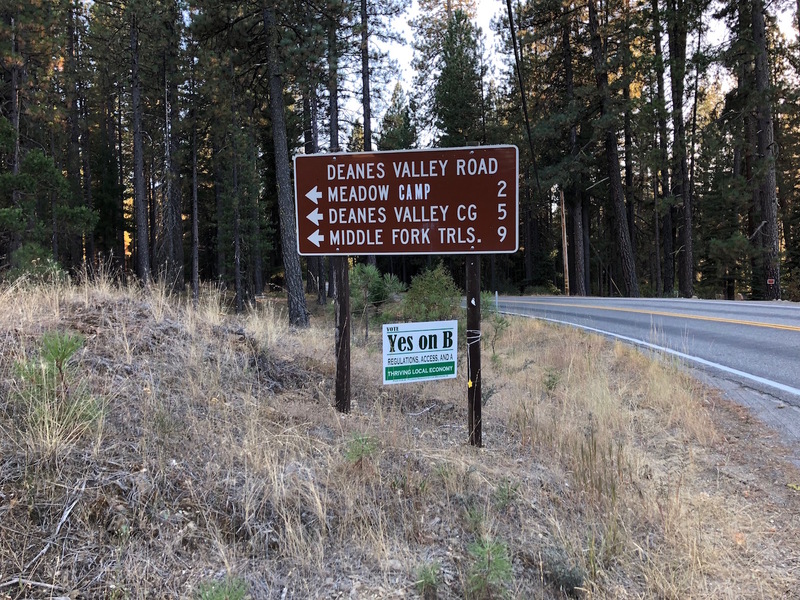 While Measure B backers are sticking their signs wherever they think will get them noticed, we’re handing ours to voters who are putting them in their yards to help defeat Measure B and keep commercial cannabis out of our county. This is a BIG difference. Next step: Expose the empty promises on their yard signs. Ready? Regulations. Many Measure B-backing growers show just how much they want to be regulated by breaking Plumas’ cannabis moratorium. If we can’t trust them to be regulated by a moratorium, how can we trust them to be regulated by an ordinance? Access. Measure B backers have been talking about patients and “safe access” for months. If they truly care, why not help them grow their own? Or simply share with them per Prop. 64? The truth is that patients know that with Prop. 64, they don’t need Measure B, which is one reason many are standing with us against it. Thriving local economy. Our county doesn’t see this happening with Measure B because of all the unforeseen regulatory and staffing costs it will create. The say so in their Impact Report. It’s next to impossible to create a thriving local economy with an expensive, unsustainable, unconstitutional lawsuit magnet of a measure. Thoughtful voters realize that if we defeat Measure B and they don’t get their way, B backers won’t give a rip about being legal … or civil. They’ll level lawsuits that will cost us and the county even more money to defend. Neighbors and voters, let’s face it: This mess of a commercial cannabis measure is a really, really bad deal for Plumas County. It’s nothing more than a self-serving and unfair monopoly scheme and Green Rush money grab for local growers. If it passes, Measure B will strip us of our rights to protest large neighbor grows, unfairly prioritize the very growers who wrote it, and likely trigger lawsuits against the county from non-priority growers. If we don’t defeat Measure B, we’ll be stuck with every word of it. No changes. No chances to mitigate its naturally negative consequences. And we’ll have no way short of yet another ballot initiative to protect and preserve all we love about Plumas County. Please encourage your friends and family to VOTE NO on Measure B.